This vision is now being realized. LifeBridge meets weekly in a theatre in the city’s premier shopping mall. Each Sunday people of numerous nationalities gather to worship and study the Bible in English, the language they share in common. Many of them meet during the week in “LifeGroups.” Fifteen to twenty faithfully serve in various roles from computer tech to stage set-up to greeting. 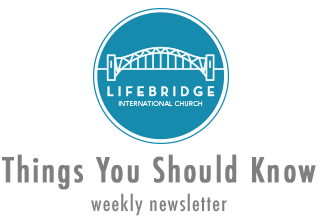 LifeBridge began five years ago as a ministry of Converge WorldWide’s “A2:5” international church planting arm in partnership with the International Baptist Convention (IBC).